This Friday is all about finds in fashion to look cute while commuting. Chain Print Flounce Skirt ($89.50 by Banana Republic) but you can get 40% off by using the code 'BRTUNEIN' until March 2, 2014. I like this skirt because of the movement it allows at the knees so I can pedal...and it is another good reason to wear cute underwear in case you accidentally flash others while riding. 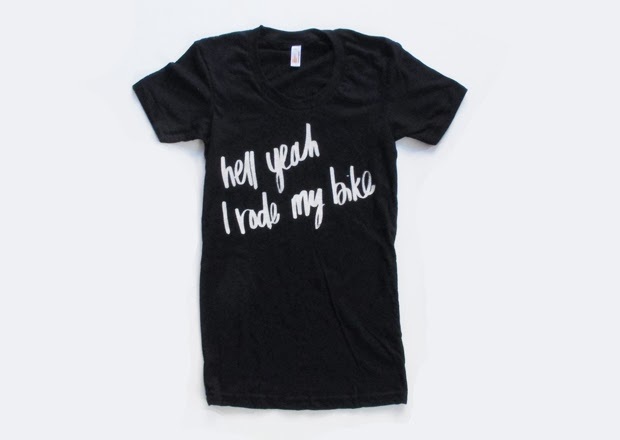 Hell Yeah T-Shirt ($25 by Iva Jean). Let everyone know you rode your bike all the way to work on casual Friday! To keep things semi-professional I would wear a crisp white collared shirt with 3/4 sleeve under this t-shirt and colored fitted jeans, legging, or trousers to make the shirt pop. This t-shirt would be my response to my neighbor who I stopped and chatted with one day on the way to work. She couldn't believe I rode so far on my bike to the office. Hell yeah I rode my bike...LOL!! 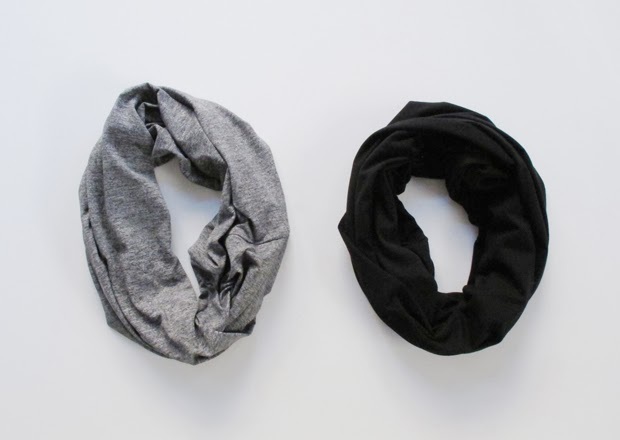 Because the weather is still a little cool here in Reno-Sparks, I would probably wear one of my infinity scarves like this Active Infinity Scarf ($49 by Iva Jean). I usually do not wear a jacket when I ride (unless it the temps are below freezing) because I would be cookin' by the time I rolled down the street and it's not fun to stroll into the office with a sweaty back (so not cute). Although I would prefer scarves with a pattern, this quick-dry, sweat-wicking baby will keep you warm on those cooler days!